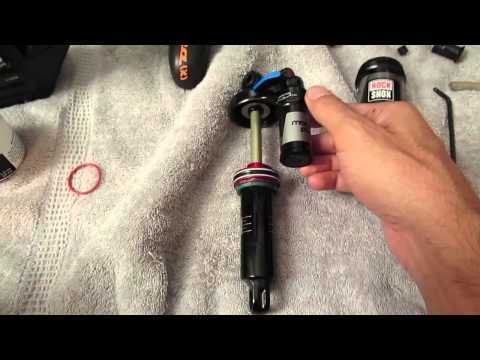 How to clean and lubricate your mountain bike suspension effectively and easily. You can easly maintain your RockShox fork by yourself. Here's the typical model with air spring, rebound and a lockout. In this video the BOS Devile gets a full service. Learn how to replace lower leg oil en damper oil yourself. In this video, a 160mm devile is used. How to rebuild the rockshox monarch shock. How to fully rebuild the rockshox monarch. How to setup the correct sag for the rockshox debon air. This how to shows you the possibility to control the Garmin Edge with your Shimano DI2 shifter..
A quick look on the Shimano E-Tube iOs app we will show you how to connect your Ultegra and Dura Ace. Sram will guide you through the 50 hour service procedure for RockShox rear shocks. It is recommende. How to service your X-Fusion fork, this video shows how to do a lower leg service. In this video: Marzocchi 888 service, inspection and oil change. It is RCV model from year 2007..
Watch this video to learn how to set up brake/shift levers on your bike. This will give you more con. 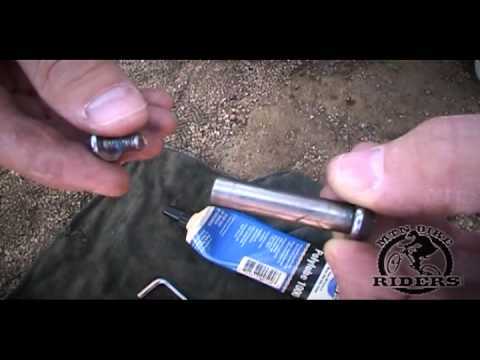 A 9minute video on How to shorten your shimano hoses. Bleeding not needed if you do it right !. This video will show you how to service a FOX DHX shock. Oil change, new seals and rebuild..
Below you'll find the Solo Air from year: 2016 oil volume table. All oil volume measurements are taken from the official manufacturers: (SRAM) website. Use our oil volume levels to service your fork yourself. Is your Lyrik not as plush it used to be? It might be time for a quick oil change. You can also use our how to video's to learn how to service your own fork. Rebuild instructions for RockShox Monarch rear shock. To be . Showing how to change oil, and clean a Rockshox Monarch Plus. This video shows you how to install the Rockshox kage rear s.